I don’t know about you but I sing in the shower, I sing in the car, in fact part of my brain is singing right now. I love music. It’s been my experience that there are two types of music lovers; the one who listens to the lyrics, another who enjoys the melody. Personally I am a lyrics guy. The songs that mean the most to me personally are the ones with great words. It might be for this reason that I enjoy listening to my favorite artists on the radio, from my playlist, or spinning on my turntable as much, or more, than live on stage. That doesn’t mean I don’t like concerts, I do, and I have been to my fair share. My earliest memories of live performances is jumping in the car and heading to Reno, Nevada casino showrooms with my Dad, Mom and two brothers to see Frank Sinatra or Sammy Davis, Jr. We sat in cushy booths, ate and drank (Roy Rogers for the three boys) then watched Frank Sinatra or Sammy Davis, Jr. We were entertained by Jimmy Durante, Red Skelton and Alan Sherman (Hello Mudder, Hello Fadder) always preceded by “The Performing Pachyderms Bertha and Tina!”. At the time I couldn’t have realized how lucky we all had it. The concert I remember as my first was when I was in junior high school. The Chicago Transit Authority was coming to the Centennial Coliseum and I was going to go. I had purchased their recently released, self-titled, debut double album and had memorized the words to Beginnings, Does Anybody Really Know What Time it Is? and 25 or 6 to 4. Over the course of the next decade or so I saw Yes, Deep Purple, Renaissance, Jefferson Starship, Steely Dan, Loggins and Messina, Dan Fogelberg and Bruce Springsteen (for the first of 5 times). I never saw The Beatles live but I was fortunate to see The Rolling Stones and Paul McCartney. Thanks to work, I’ve been both backstage and in the audience for Elvis Presley, Diana Ross, America and Paul Revere and the Raiders. I was lucky enough to become friends with The Mission Mountain Wood Band who would become The Montana Band and Texas singing/songwriting legend Pat Green. More recently I have seen Billy Joel, The Eagles (luckily before Glenn Frey passed away), Kenny Chesney, Mat Kearney and Train. My second-to-last live music experience was an intensely personal one as my wife and I went in to New York City and saw our son perform at the Bowery Ballroom with his band, Post Animal. Don’t get me wrong, I am not positioning myself as a “Master Concert Goer”. While I’ve seen some amazing acts, the number of shows I’ve attended pales in comparison to millions of people. I know folks who have seen one band as many, or more, times than I have seen all of my concerts. More power to them. Last night, for her birthday, I took my wife to the PNC Bank Arts Center to see Chris Stapleton. We were joined by more than 10,000 other folks, including my in-laws, hungry for an entertaining evening out and Stapleton did not disappoint. The venue was built in the late 1960’s and opened in 1968. It’s an amphitheater with open sides and a roof that covers about 7,000 seats. An uncovered grassy area has room for about 10,000 more butts. I’m sure when pianist Van Cliburn opened the joint on June 12 and Judy Garland sang Over the Rainbow there two weeks later in 1968, it was an amazing place. It’s still a nice venue, if a little beat. We were happy for the covered roof when a thunderstorm ripped through the area, turning the grassy area into one huge wet t-shirt contest, minutes before Chris Stapleton took the stage. When he did come on stage he was accompanied by a drummer, a bassist, and his wife (who joined him on most vocals and occasionally struck a tambourine). That was it, four of them, it was more than enough. Like a lot of folks we became acquainted with the Kentuckian’s music thanks to the 2015 breakout hit, Tennessee Whisky. We learned that he had been a successful songwriter for years penning number one hits for Kenney Chesney, George Straight, and Darius Rucker. He was responsible for more than 150 songs that appeared on records released by Tim McGraw, Adele, Brad Paisley, Luke Bryan and Dierks Bentley and others. He was a household name in Nashville long before Tennessee Whiskey made him a name in our, and maybe your, household. So we knew going in that he knew how to write a great song, we learned he plays a mean guitar. The first half of the show featured songs from his hit record Traveler as Stapleton crooned and growled into the microphone and railed on one of his well-worn Fender six strings. He never played the same guitar two songs in a row until he sent the band off for a “smoke break” and he commanded the stage alone playing an acoustic guitar. He serenaded us with the first song from his new record, Broken Halos, and backed that up with Whiskey and You, a song he wrote for McGraw. We knew almost all of the songs but hardly any of the words and if I had one criticism of the show it would be that if you didn’t know the words you weren’t going to get them from this concert. At times the artist was incomprehensible, but man could he play and sing. Finally he played and sang the title track from Traveler and then struck the first few notes of Fire Away. Before he could go any further the New Jersey crowd erupted into thunderous applause. The bearded troubadour on stage stopped, taken completely by surprise, and announced his appreciation to the assembled masses. That was one of the beautiful things about this show. You watched an artist who, though famous in a relatively small circle because of his songwriting, was still finding his footing as a performer. And we appreciated him all the more because of it. It was genuine appreciation for us as we were showering him with praise through our applause. Fire Away was the highlight of the night. But Chris Stapleton wasn’t finished. The first chords of Tennessee Whisky sang from his guitar strings and he introduced us to his fellow musicians, singing about each one, to the melody of his most famous song. And then he sang it for us, and we sang right along with him. The band left the stage, with Stapleton this time, returning after a few minutes, to play and sing Either Way as an encore. It was a great concert experience and I strongly recommend seeing Chris Stapleton if he makes an appearance on a concert stage near you. I have a colleague, who’s a friend, that proclaims artists, athletes, and others as “Big Time” when they meet with his approval. Chris Stapleton is “Big Time”. Thanks for reading my blog. If you liked this please check out other entries here. 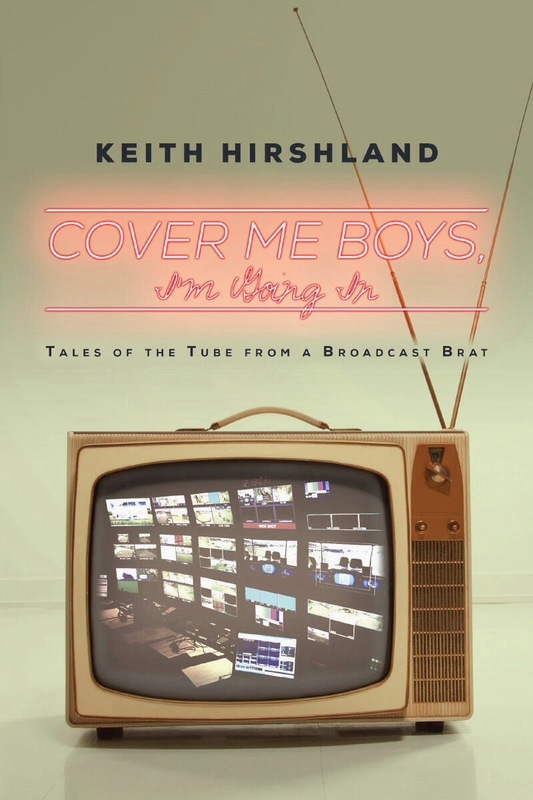 You can also get information about my two books, Cover Me Boys, I’m Going In (Tales of the Tube from a Broadcast Brat) a memoir about my nearly four decades in broadcast television and Big Flies, my new mystery. This entry was posted in general observations and tagged Chris Stapleton, PNC Bank Arts Center. Bookmark the permalink.